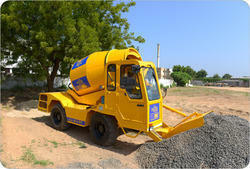 In order to retain remarkable position in this industry, we are providing a wide array of Self Loading Mobile Concrete Mixer Machine. Available in 1/2/2.5/4 m3 Capacity. 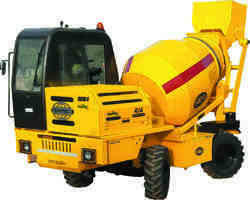 Banking on our enriched industry experience, we are able to supply Self Loading Concrete Mixer Truck. Engine: Mahindra & Mahindra intercooler 4 stroke turbo diesel engine 4 cylinder inline 80.9 kw @ 2500 rpm / 110 HP @ 2500 rpm. Tyre And Rim: 405/70-20 14 PR & 13" x 20"
Owing to our experts and rich industrial knowledge, we are keenly successful bin presenting Self Loading Mobile Truck Mixer. We offer these at reasonable rates.